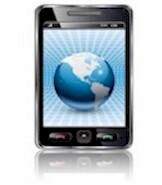 Database Systems Corp. also provides IVR Reports and Graphs as well. Contact DSC to learn more about our cti reports and acd reports. Computer Telephony is not a new concept. Such links have been used in the past in large telephone networks but only dedicated call centers could justify the costs of the required equipment installation. Primary telephone service providers are offering information services such as Automatic Number Identification and Dialed Number Identification Service on a scale wide enough for its implementation to bring real value to business or residential telephone usage. A new generation of applications (middleware) is being developed as a result of standardization and availability of low cost computer telephony links. 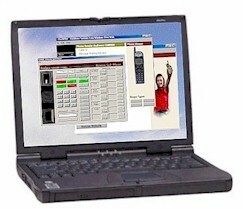 Database Systems Corp. (DSC) offers both computer telephony phone servers (phone systems with computer telephony features that take advantage of CTI) as well as CTI software that can be embedded in your computer applications. Database Systems provides Computer Telephony Integration CTI software that is a rich set of phone software library routines that enable application programs to control your phone system. Our CTI software lets you increase employee productivity, enhance customer service and reduce costs by combining the capabilities of our PACER phone system with the custom functionality of your Windows, Unix or Web applications. The PACER and WIZARD predictive dialers can automatically call your customers and pass only connected calls to your agents. With our computer telephony software, your telephone and computer work together to provide cost-saving benefits.